Diamond Details: Round brilliant cut white diamonds, F color, VS2 clarity and excellent cut and brilliance, weighing .22 carat total. 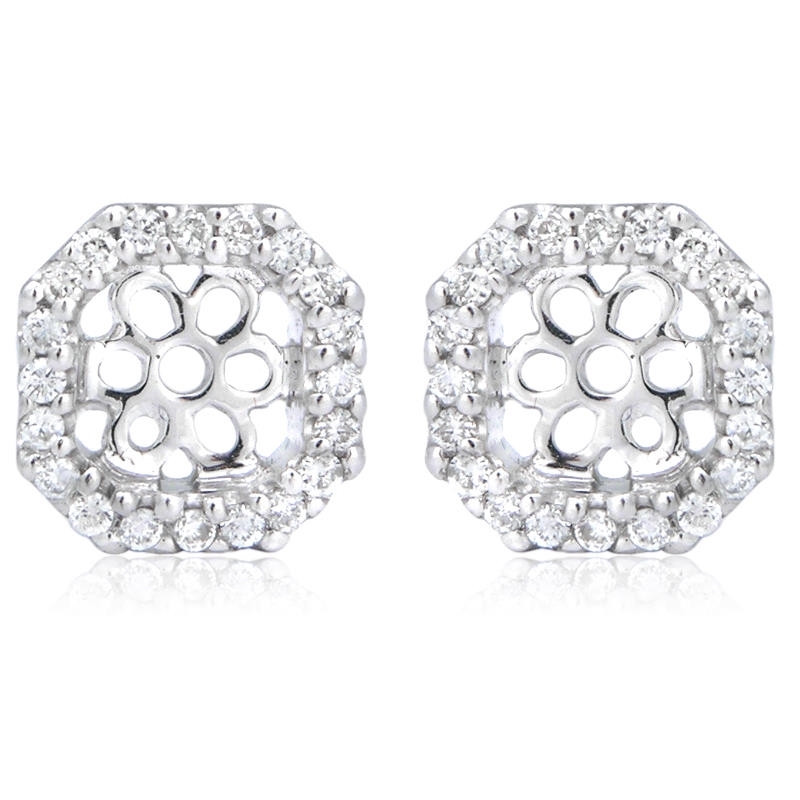 Earring Details: 18k white gold and accommodates up to a 5.5mm x 5.5mm asscher or square radiant cut stones. 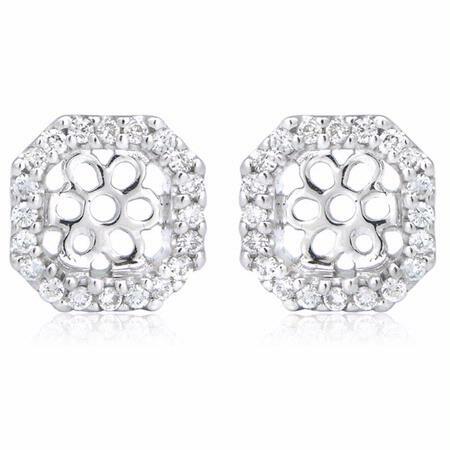 These beautiful 18k white gold earring jackets, contain round brilliant cut white diamonds of F color, VS2 clarity and excellent cut and brilliance weighing .22 carat total. A great gift idea! These jackets would accommodate 5.5 x 5.5mm asscher or square radiant cut stones.